Mr. G. SATHISH BABU, M.D of Aisshwarya Group is a gold medalist from Sri Venkateshwara University with an M.Tech. background, Mr. G. SATHISH BABU has over 17 years of rich expertise in the construction business. It was his vision to create an organization that would be admired and sought out for its professionalism and quality of work. This inspiration is still alive in our work ethic and forms the foundation of our success. His commendable construction management, finance management and marketing skills have been honed to perfection during his tenure with the GK Group, the business run by his family. Quality, innovative construction technology, comfort, aesthetic appeal and maximum value for your money are the few attributes that enrich Mr.G Satish Babu with the belief that people have entrusted in them. 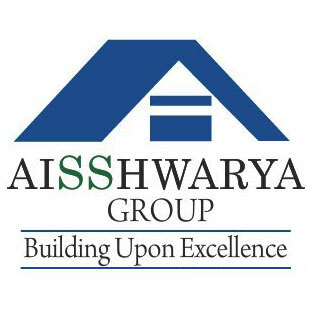 Since our inception in 1996, AISSHWARYA GROUP has experienced significant growth and gained numerous industry accolades, a tribute to our constant and continuing focus on innovative architectural design and our meticulous standard of finish and workmanship. Our development projects span across a wide range of sectors including luxury villas, apartments, prestige commercial projects and exclusive architecturally designed homes.